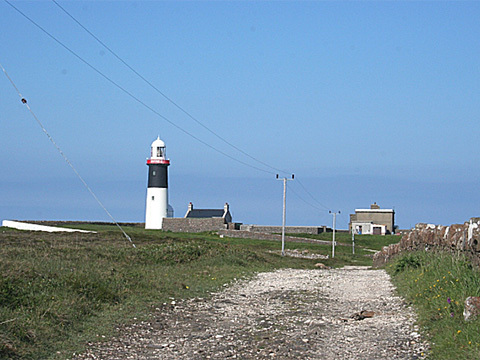 Rathlin is an island off the North Antrim Coast and is the most northerly point of Northern Ireland. It has a rugged landscape that is beautiful and tranquil with breathtaking views of Donegal, the North Antrim Coastline, the island of Islay and the Mull of Kintyre. It also has a bird sanctuary and is home to a colony of seals. Rathlin is 6miles from Ballycastle and 15.5 miles from Mull of Kintyre, the Southern tip of Scotland’s Kintyre peninsula. In the nineteenth century, its population would have totalled over 1000 inhabitants. Nowadays it is closer to 100 inhabitants. 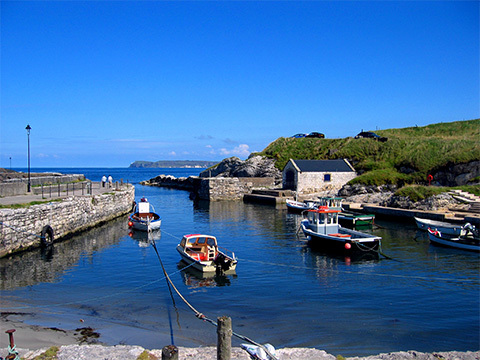 There is a ferry from Ballycastle that travels across the “Sea of Moyle”. In the harbour is the Boathouse where visitors can discover the island’s past and learn about the present everyday life on the island too. At the west of the island there is a renowned RSPB seabird centre. Puffins, guillemots, razorbills and kittiwakes can be seen throughout the summer months. The island is also popular with scuba divers who come to explore the wrecked ships around the coast. Throughout the year, special occasions are celebrated with ceilidhs. Music song and dance remains at the heart of island life. 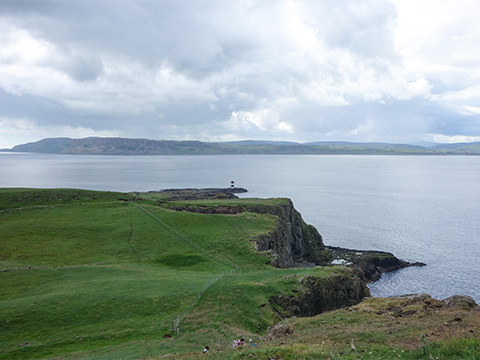 One of the most famous myths connected to Rathlin is that of Robert the Bruce who was a Scottish king driven from Scotland by Edward I of England. He took refuge on Rathlin and it is reported that he watched a spider persevering over and over again to bridge a gap in its web .Bruce took heart from the spider’s efforts and raised fresh forces to return to Scotland to fight for his kingdom. Like the spider, he succeeded and in 1314 he regained the crown of Scotland. The island offers accommodation to suit all needs, a restaurant and a pub.